This is possibly the most sought after white water rafting experience in northern Latin America. 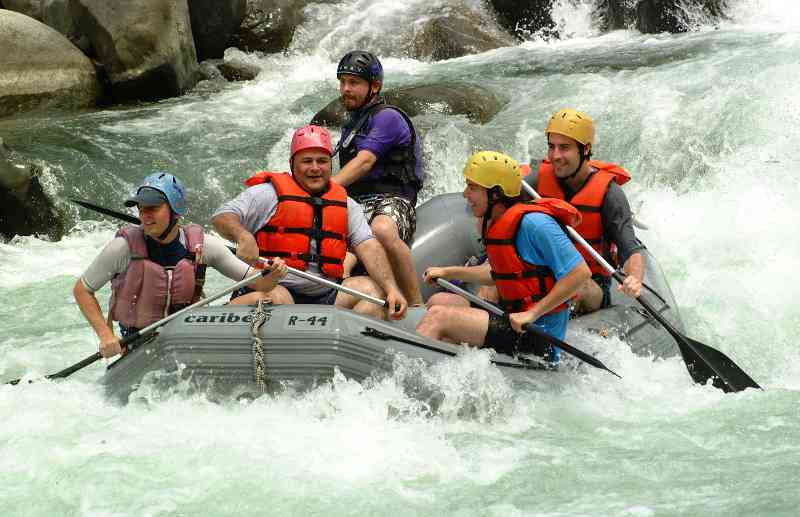 ​The Pacuare River is regularly listed as one of the top ten rafting destinations in the world. "The rafting trip was just awesome!! So really glad we did it! 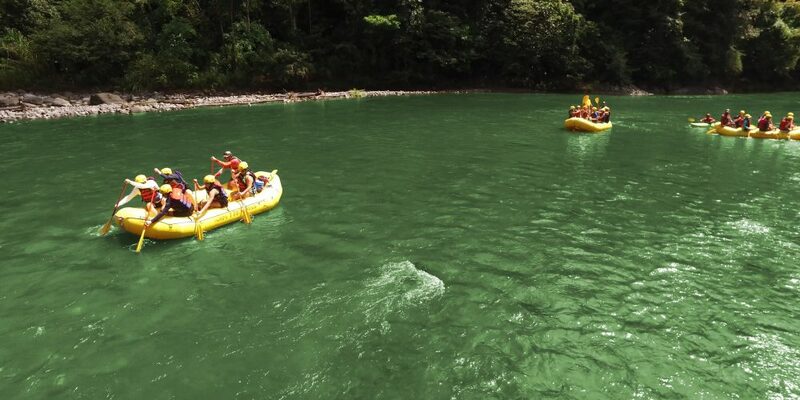 If you dream about rafting on a wild tropical river, the Pacuare is it! Rated one of the top rivers in the world. You'll experience the intimate nature of the rain forest via the river. The warm water, cascading waterfalls, and opulently lush rain forest with brilliantly colored plants, and hiding animals and birds - it all makes this trip exquisite for your senses. you will drive by private, comfortable bus to the white water rafting operations center for a delicious, typical Costa Rican breakfast. After breakfast and changing into rafting gear, we will drive to our private rafting put-in on the banks of the Pacuare river. Here we review and adjust all necessary equipment for proper fit, give you a comprehensive rafting safety talk, and instruct you on paddling basics. You'll be excited to launch your raft and begin to paddle 18 miles deep into the heart of one of Costa Rica's most impressive primary rain forests. You'll pass through densely vegetated rainforest gorges, view cascading waterfalls, relax in serene pools and experience pounding rapids. You will enjoy an adrenaline-packed afternoon running the Pacuare's biggest rapids, with names like Upper and Lower Huacas, Cimarron, Dos Montañas and more. At the take-out, our short drive back to the white water rafting operations center you to a hearty and delicious lunch, showers, optional drinks and a handy souvenir store. This trip includes all transportation to and from San Jose, the capital & Central Valley. From Metro Area Pick Up Points: $99 including breakfast, lunch, and round trip transport. Please Note that all tours and prices are subject to change and availability. Scheduling is approximate. Wildlife seen will vary on each tour, and tours run rain or shine.